This year’s 35th International Workshop on Global Security will be presented in Paris on 16-17 April with the theme of "Global Security in the Age of Hybrid Warfare and the Cyber Threat." The workshop topics will include hybrid conflicts, with an emphasis on Russian (and other) hacking or cyber influence operations that are amplifying divisions within and among countries, as well as the dangers of cyber jihadism, the roles of state actors in penetrating critical infrastructure, the implications of quasi-state actors (such as Google or Facebook), and the policy and other steps that are needed to counter them. The French government has invited the workshop once again to be held in the King's Council Chamber of the Invalides national monument. The workshop is being presented in partnership with the Institute for Higher Defense Studies (IHEDN) within the organization of the French Prime Minister and the Directorate General for International Relations and Strategy (DGRIS) within the Ministry of the Armed Forces. 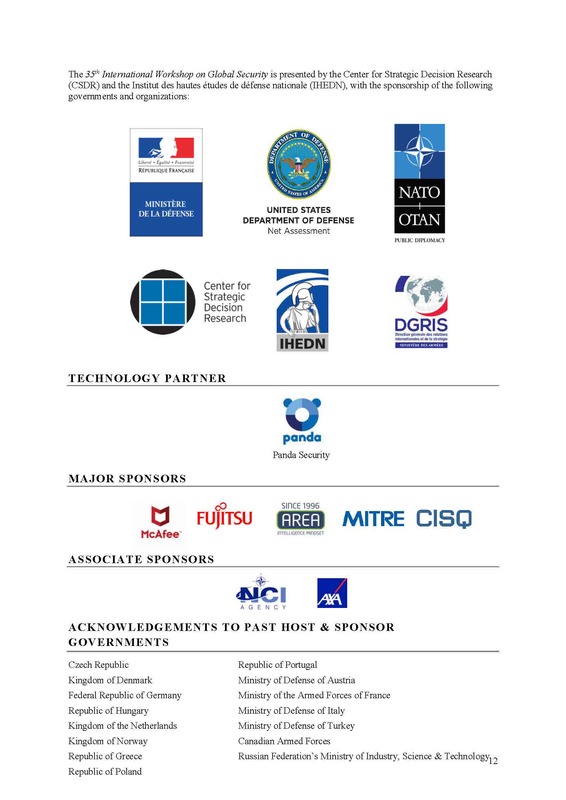 This workshop series has been sponsored by the French Ministry of the Armed Forces, NATO Public Diplomacy Division, the US Department of Defense and international companies including McAfee, Fujitsu, and MITRE. Panda Security is the Technology Partner. in spring 2019…and do all that they can to intervene in the next 20 NATO and EU elections before 2020"
The keynote speakers were Minister Mounir Mahjoubi, the Minister of State for the Digital Sector, attached to the French Prime Minister; Ambassador Tacan Ildem, NATO Asst. Secretary General for Public Diplomacy; General Olivier Bonnet de Paillerets, Cybercommander, French Ministry of the Armed Forces; Mr. Anthony Grieco, Chief Trust Strategy Officer, Cisco; the Rt Hon. 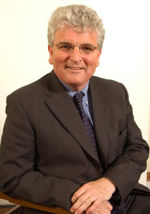 the Lord Browne of Ladyton, former U.K. Secretary of State for Defence, and The Lord Harris of Haringey. Major General Tatsuhiro Tanaka was the Fujitsu key speaker. Among the NATO speakers were Ambassadors Jiri Šedivý (Czech Republic), Michael Zilmer-Johns (Denmark), Luis de Almeida Sampaio (Portugal), and Mehmet Fatih Ceylan (Turkey); Dr. Jamie Shea, Deputy Asst. Secretary General for Emergency Security Challenges; Mr. Kevin J. Scheid, the General Manager of the NATO NCI Agency; Ms. Merle Maigre, Director of the NATO Cooperative Cyber Defense Center of Excellence in Estonia, and Mr. Janis Sarts, Director of the Strategic Communications Center of Excellence in Latvia. 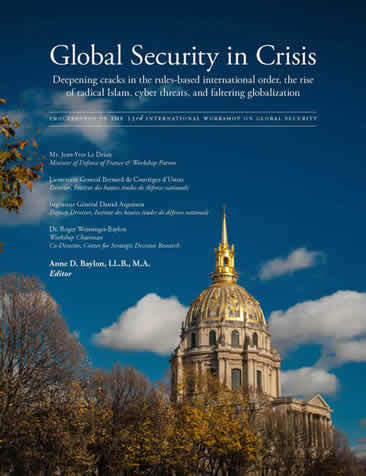 Proceedings of the 34th International Workshop on Global Security - including presentations by all workshop speakers. National Security Laboratory, Fujitsu System Integration Laboratories, Ltd. 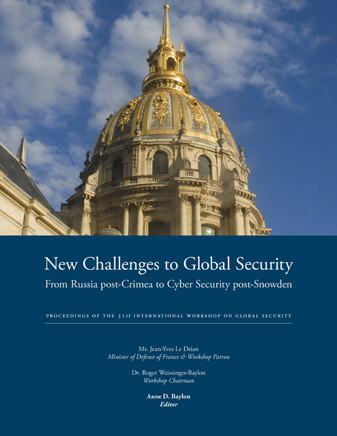 The 33rd International Workshop on Global Security was presented in Paris at the Hotel National des Invalides in November in partnership with the Center for Strategic Decision Reseach, the Institut des hautes études de défense nationale (IHEDN) within the Prime Minister's organization, NATO (Public Diplomacy), the U.S. Department of Defense (Net Assessment), and other organizations including CIsco, McAfee/Intel, MITRE, Area SpA,,Fujitsu, AECOM, ARES, and AXA. The workshop theme was "Global Security in Crisis: The deepening cracks in the rules-based international order," with a special emphasis on the relationship with Russia, Daesh/Isis and the spreading terror threat, and cyber security. Among the major speakers were Lieutenant General Bernard de Courrèges d’Ustou, Director, Institut des hautes études de défense nationale (IHEDN); Ing. Général Daniel Argenson, Deputy Director, Institute for Higher Defense Studies (IHEDN); Mr. Camille Grand, NATO Assistant Secretary General for Defense Investment; Vice Admiral Arnaud Coustillière, General officer cyber defense, French Ministry of Defense; Ambassador David Martinon, Ambassador for Cyber Diplomacy and the Digital Economy, French Ministry of Foreign Affairs; Ms. Heli Tiirmaa-Klaar, Head of Cyber Policy Coordination, Conflict Prevention and Security Policy Directorate, European External Action Service; Ambassador Marjanne de Kwaasteniet, Permanent Representative of the Netherlands to NATO; Mr. Conrad Prince, U.K. Cyber Security Ambassador; Mr. Atsushi Saito, Director, Space Policy Division, concurrently Senior Negotiator for International Security Affairs, National Security Policy Division, Japanese Foreign Policy Bureau; Ambassador Miguel Aguirre de Carcer, Permanent Representative of Spain to NATO; Mr. Pjer Simunovic, Director, Office of the Croatian National Security Council; Ambassador Mehmet Fatih Ceylan, Permanent Representative of Turkey to NATO; Ms. Marietje Schaake, Member of the European Parliament; General Marc Watin-Augouard, Founder of the Forum International de la Cyber Sécurité (FIC); Ambassador Michael Zilmer-Johns, Permanent Representative of Denmark to NATO; Ambassador Luís de Almeida Sampaio, Permanent Representative of Portugal to NATO; Ambassador Vladimir Chizhov, Permanent Representative of the Russian Federation to the EU; Mr. Guillaume Poupard, Director General, French National Agency for Information Systems Security (ANSSI); Mr. Marty Roesch, Vice President and Chief Architect, Cisco Business Security Group; Dr. Jamie Shea, NATO Deputy Assistant Secretary General for Emerging Security Challenges; Dr. Frederick Douzet, Castex Chair of Cyber Strategy, IHEDN; Professor Kevin Limonier, Professor, Université Paris 8; Ms. Caroline Baylon, Information Security Research Lead, AXA (R&D); Mr. Alain Fiocco, Chief Technology Officer, Head of Paris Innovation and Research Lab, Cisco; Mr. Frédéric Géraud de Lescazes, Secretary General and Director, Government Affairs and Community Relations, Cisco; Mr. Raj Samani, Chief Technology Officer, Europe, McAfee/Intel; Dr. Linton Wells II, Former U.S. Assistant Secretary of Defense (Networks and Information Integration) and Executive Advisor, C4I & Cyber Center, Georgia Tech Research Institute; Dr. Aníbal Villalba, Senior Adviser to the President, National Cybersecurity Council of Spain; Ambassador Jirí Šedivý, Permanent Representative of the Czech Republic to NATO, former First Deputy Minister of Defense of the Czech Republic; Mr. Sven Sakkov, Director, NATO Cooperative Cyber Defence Centre of Excellence (CCDCOE); Mr. Don Proctor, former Senior Vice President in the Office of the Chairman and CEO, Cisco; Major General David Senty, USAF (Ret. ), Director, Cyber Operations, The MITRE Corporation and Former Chief of Staff, U.S. Cyber Command; Ambassador Imants Liegis, Ambassador of Latvia to France; Mr. Ioan Mircea Pascu, Vice President of the European Parliament, Former Minister of Defense of Romania; Ambassador Boris Grigic, Permanent Representative of Croatia to NATO; Colonel Eric Freyssinet, French Ministry of the Interior; Andrea Formenti, President, Area SpA; Mr. Daniel Maly, Cast Software; Mr. Kurt Westerman, ARES Corporation. 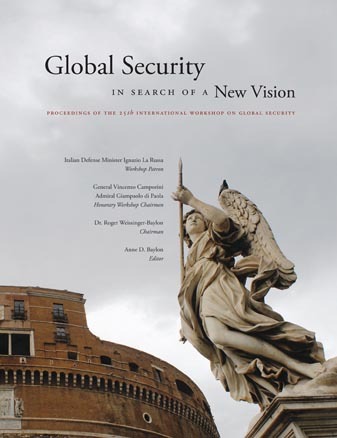 Proceedings of the 33rd International Workshop on Global Security - including presentations by all workshop speakers. Caroline Baylon, "Cybersecurity Threats to Critical Infrastructure: A Case Study of Nuclear Facilities," Chapter 11 in "Securing Cyberspace: International and Asian Perspectives," Cherian Samuel and Munish Shama, Pentagon Press, 2016. Caroline Baylon, "Desafíos para la ciberseguridad de las infraestructuras críticas," El Mundo, 11 July 2016. Patrons and Keynote Speakers. View the recent Patrons, Keynote Speakers, and Advisory Board Members of the International Workshops on Global Security and the Center for Strategic Decision Research, including defense ministers, heads of state or government, senior military commanders, academics, and industry leaders. 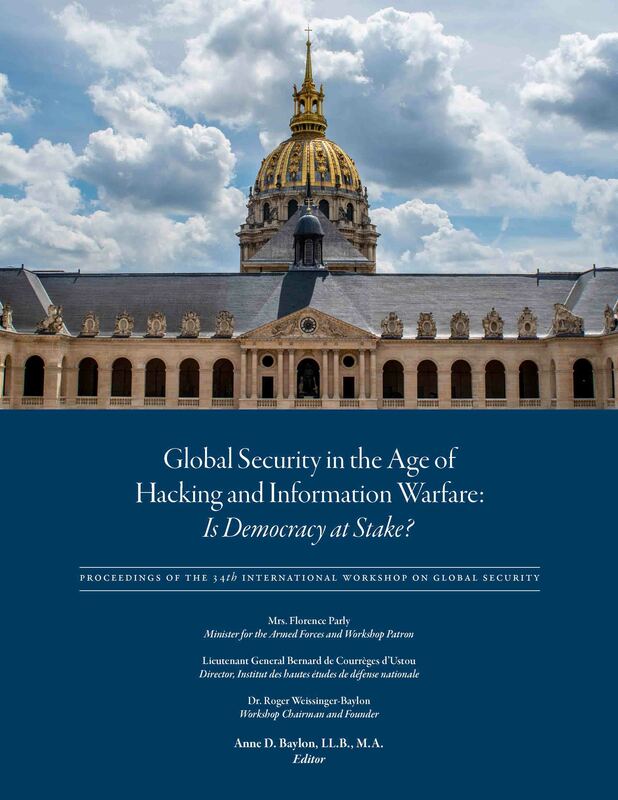 The 32nd International Workshop on Global Security was presented in Paris at the Hotel National des Invalides in November, 2015 with the Ptronage of French Defense Minister Jean-Yves Le Drian. The workshop was organized in partnership with the Center for Strategic Decision Reseach, the Institut des hautes etudes de defense nationale (IHEDN) within the Prime Minister's organization, NATO (Public Diplomacy), the U.S. Department of Defense (Net Assessment), and other organizations including Lockheed Martin, McAfee/Intel, MITRE, Area SpA, FireEye, Tiversa, Kaspersky Lab, AECOM, and Quantum Research International. Key speakers were Lieutenant General Bernard de Courrèges d’Ustou, Director,Institute for Higehr Defense Studies (IHEDN); Lieutenant General Heinrich Brauss, NATO Assistant Secretary General for Defense Policy and Planning; Vice Admiral Arnaud Coustillière, General officer cyber defense, French Ministry of Defense; Mr. Guillaume Poupard, Director General, French National Agency for Information Systems Security (ANSSI); Ambassador Sorin Ducaru, NATO Assistant Secretary General for Emerging Security Challenges; Ambassador David Martinon, Ambassador for Cyber Diplomacy and the Digital Economy, French Ministry of Foreign Affairs; Vice Admiral Arnaud Coustillière, General officer cyber defense, French Ministry of Defense; Mr. Guillaume Poupard, Director General, French National Agency for Information Systems Security (ANSSI); Ambassador Sorin Ducaru, NATO Assistant Secretary General for Emerging Security Challenges; Ambassador David Martinon, Ambassador for Cyber Diplomacy and the Digital Economy, French Ministry of Foreign Affairs; Mr. Christian Gravel, Prefect, Director of the Government Information Service (SIG), Office of the French Prime Minister; Mr. Jean-Yves Latournerie, Cyber Prefect (Préfet, Conseiller du gouvernment, chargé de la lutte contre les cybermenaces), French Ministry of the Interior; Senator Jean-Marie Bockel, French Senate, Member of the Foreign Affairs, Defense and Armed Forces Committee; Former Secretary of State for Defense; Mr. Eduardo Rihan Cypel, Deputy (Seine-et-Marne), French National Assembly; Mr. Chris Painter, Coordinator for Cyber Issues, U.S. Department of State; Ms. Heli Tiirmaa-Klaar, Head of Cyber Policy Coordination, Conflict Prevention and Security Policy Directorate, European External Action Service; Dr. Steve Purser, Head of Core Operation Department, ENISA (European Union Agency for Network and Information Security); Ambassador Ihor Dolhov, Deputy Minister of Defense of Ukraine; Mr. Ioan Mircea Pascu, Vice President of the European Parliament; Former Minister of Defense of Romania; Ambassador Oleh Shamshur; Ambassador of Ukraine to France; Mr. Ioan Mircea Pascu, Vice President of the European Parliament, Former Minister of Defense of Romania;Mr. Koen Gijsbers, General Manager, NATO Communications and Information Agency; Dr. Frederick Douzet, Castex Chair of Cyber Strategy, IHEDN; Général (Gendarmerie) Marc Watin-Augouard, Founder of the Forum International de la Cyber Security (FIC), Director, Center for Research, Officer School of the Gendarmerie Nationale; Ing. 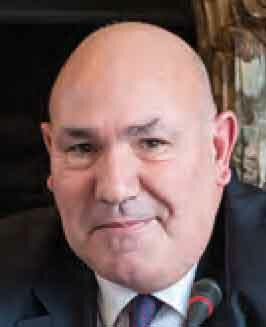 Général Daniel Argenson, Deputy Director, Institute for Higher Defense Studies (IHEDN); Ing. 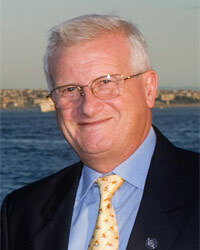 General Robert Ranquet, Former Deputy Director, Institute for Higher Defense Studies (IHEDN). Paris, France October, 2014. 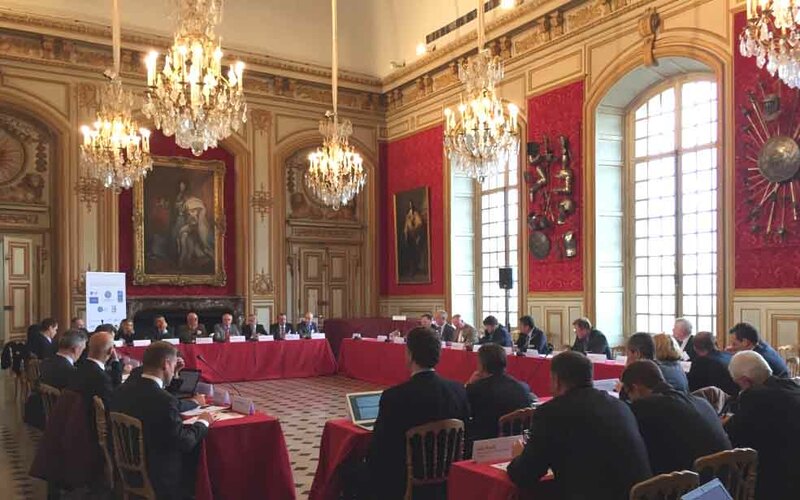 The 31st International Workshop on Global Security was presented in Paris in October, 2014 at the Hotel National des Invalides, with the High Patronage of Minister of Defense Jean-Yves Le Drian. The workshop was organized in partnership with the Center for Strategic Decision Reseach, the Institut des hautes études de défense nationale (IHEDN) within the Prime Minister's organization, NATO, the U.S. Department of Defense, and other organizations. Key speakers included Lieutenant General Bernard de Courrèges d’Ustou, Director of the Institut des hautes études de défense nationale (IHEDN); General Patrick de Rousiers, Chairman of the European Union Military Committee and Military Advisor to the High Representative of the European Union for Foreign Affairs; Ambassador Terry Stamatopoulos, NATO Assistant Secretary General for Political Affairs and Security Policy; Ms. Marietje Schaake, MEP, Member of the European Parliament (The Netherlands); Ambassador Sorin Ducaru, NATO Assistant Secretary General for Emerging Security Challenges; General Hans-Lothar Domröse, Commander of Allied Joint Force Command Brunssum;Senator Alain Richard, French Senate (Val d‘Oise), former Minister of Defense of France; Senator Jean-Marie Bockel, French Senate, Member of the Foreign Affairs, Defense and Armed Forces Committee and former Secretary of State for Defense; Mr. Chris Painter, Coordinator for Cyber Issues, U.S. Department of State; Major General John Allen Davis, Acting U.S. Deputy Assistant Secretary of Defense for Cyber Policy; Mr. Haden Land, Vice President, Research and Technology, Lockheed Martin Information Systems and Global Solutions; as well as Mr. James Wylly, Microsoft Corporation; and Mr. Maurice Cashman, McAfee, a part of Intel Security. 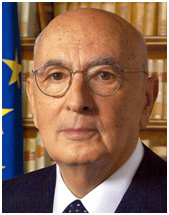 Patron of the 31st International Workshop on Global Security. 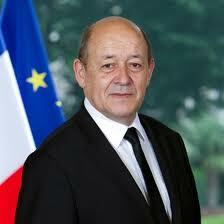 With the high patronage of Minister of Defense Jean-Yves Le Drian, the 30th International Workshop on Global Security was presented in Paris, France in June 2013. Workshop themes included the military operations in Mali, the "Arab Spring" developments including Syria, as well as a several sessions on the growing challenges of cyber security. The workshop was presented by the Center for Strategic Decision Research in partnership with the Institut des hautes etudes de defense nationale (IHEDN) within the Prime Minister's organization. Workshop speakers and participants from more than 30 countries included defense ministers, chiefs of defense general staff, as well as other senior officials including political and military representatives to NATO, the EU, the UN, and officials from defense, aerospace, information technology, cyber security and other industries. 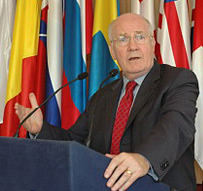 Patron of the 30th International Workshop on Global Security. 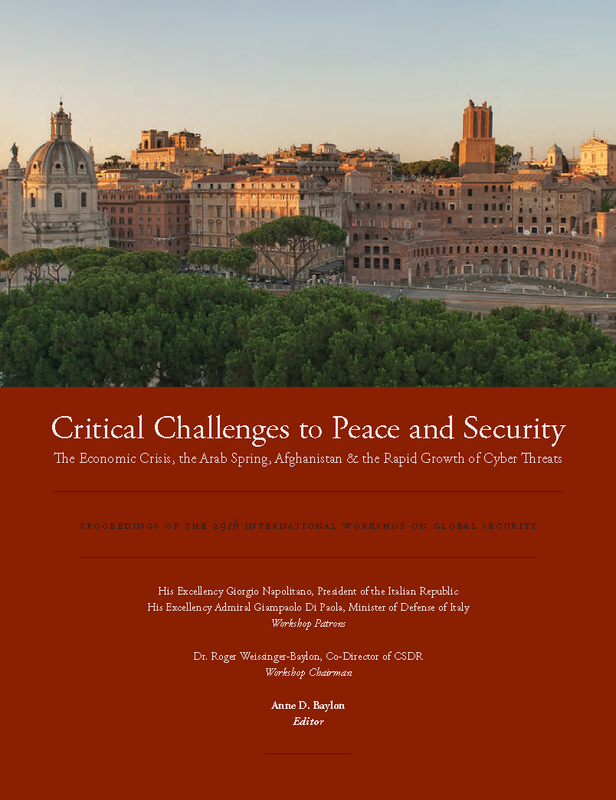 Critical Challenges to Peace and Security: The Economic Crisis, the Arab Spring, Afghanistan & the Rapid Growth of Cyber Threats. Rome, Italy July, 2012 With the high patronage of Italian President Giorgio Napolitano and Minister of Defense Admiral Giampaolo Di Paola as well as the Honorary Chairmanship of Italy's Chief of Defense General Staff General Biagio Abrate, the 29th International Workshop on Global Security was presented in Rome, Italy in July 2012. In addition to keynote speakers Defense Minister Giampaolo Di Paola, U.S. Deputy Secretary of Homeland Security Jane Holl Lute, and Finmeccanica CEO Giuseppe Orsi, invited speakers and participants included defense ministers, chiefs of defense general staff, other senior officials including political and military representatives to NATO, the EU, the UN, and representatives from industry. Nearly 30 countries from Europe, North America, and Asia participated. Themes for workshop discussions included the strategic implications of the current economic crisis, the "Arab Spring" in North Africa and the Middle East, as well as withdrawal from Iraq and Afghanistan. There was an emphasis again this year on the challenges of cyber security and information technologies. 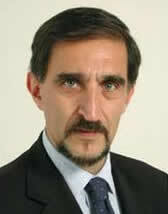 Cisco, McAffee | Intel and Finmeccanica. "Global Security--The Risks of Strategic Surprise"
In his role as Patron and Keynote Speaker of the 28th International Workshop on Global Security, His Excellency Gérard Longuet, France's Minister of Defense, welcomed the workshop to Paris for the third time to address the theme of "Global Security--The Risks of Strategic Surprise." 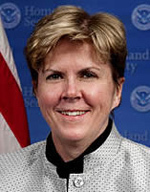 He was joined by the United States Deputy Secretary of Defense, the Honorable William J. Lynn III, who called attention to the growing challenge of cyber security--which will be one of the main themes of our 2012 Workshop in Rome, Italy. For the fifth time in its history, the workshop was invited to Berlin to address the theme of "Global Security—The Growing Challenges." Political leaders, including defense ministers, foreign ministers and heads of government, as well as senior UN, EU and NATO and other diplomats, military commanders, and academic experts from more than forty countries participated. Workshop themes. As demonstrated by Iceland's volcanic eruption—or recent tragic earthquakes in Haiti and Chile, nations face a growing range of economic and security concerns on a global scale. In many cases, risks are impossible to predict. No longer limited to purely military threats, today's dangers arise from such highly diverse sources as the international financial system—which plunged the world into recession; natural disasters; energy security; scarcity of water, minerals, and other resources; poverty; drug, weapons, and human trafficking; and—above all—the lack of hope for a better future for millions across the globe. Such a wide range of threats cannot be addressed effectively in national capitals alone, nor in the prominent international institutions, since decisions are often sidetracked by interest groups or simply by their extreme complexity, unexpected nature, or lack of resources. 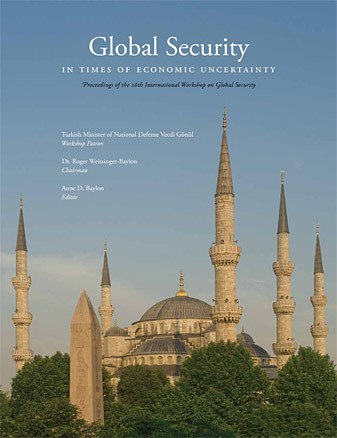 Global Security in Times of Economic Uncertainty, the proceedings of the 26th International Workshop on Global Security, Istanbul, 2009. 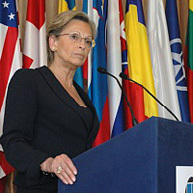 Turkish Defense Minister Vecdi Gönül invited the 26th International Workshop on Global Security to Istanbul in June 2009. 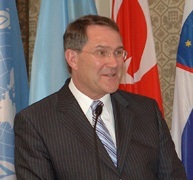 According to Minister Gönül, "Turkey, as a staunch ally located at the center of the world's hotspots and an active regional power that plays a significant role by mediating area disputes…" is an ideal venue for this event. At the 25th Anniversary International Workshop in Rome, Minister Gönül cited Mustafa Kemal Atatürk, the founder of modern Turkey: "We should consider humanity as a single body and a nation as one of its organs. Pain on the tip of a finger is felt by all other organs. Therefore, we should see all nations as part of a single body and then take the necessary precautions." 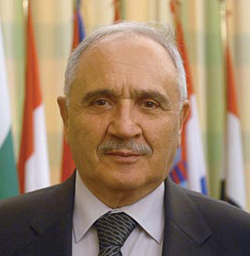 Turkish Defense Minister Vecdi Gönül. 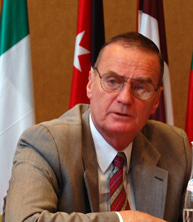 Other major speakers of the Rome workshop included: Georgian Vice Prime Minister Giorgi Baramidze, Estonian Defense Minister Jaak Aaviksoo, Georgian Foreign Minister Eka Tkeshelashvili, Former Ukrainian Foreign Minister Borys Tarasyuk, Italian Chief of Defense General Vincenzo Camporini, Supreme Headquarters Allied Powers Europe (SHAPE) Chief of Staff General Karl-Heinz Lather, Allied Joint Force Commander Admiral Mark Fitzgerald, Deputy Supreme Allied Commander Transformation Admiral Luciano Zappata, Former Supreme Allied Commander Europe (SACEUR) General George Joulwan, Deputy Secretary General of NATO Claudio Bisogniero, NATO Assistant Secretary General Peter Flory, British Ambassador to NATO Stewart Eldon, Italian Ambassador to NATO Stefano Stefanini, Turkish Ambassador to NATO Tacan Ildem, Pakistani Ambassador to the UN Munir Akram, Algerian Ambassador the UN Youcef Yousfi, Russian Ambassador to the EU Vladimir Chizhov, Egyptian Ambassador to the EU Mahmoud Karem, and U.S. Assistant Secretary of Defense Hon. John Grimes. Major speakers of the Paris Workshop included Georgian Vice Prime Minister Giorgi Baramidze, former Ukrainian Foreign Minister Borys Tarasyuk, Estonian Defense Minister Jaak Aaviksoo, Albanian Defense Minister Fatmir Mediu, Bulgarian Defense Minister Veselin Bliznakov, Georgian Foreign Minister Gela Bezhuashvili, Italian Chief of Defense Admiral Giampaolo Di Paola, Polish Chief of Defense General Franciszek Gagor, Supreme Headquarters Allied Powers Europe (SHAPE) Chief of Staff General Rainer Schuwirth, Allied Joint Force Commander Gen. Egon Ramms, former Supreme Allied Commander Europe (SACEUR) General George Joulwan, former SACEUR General James Jones, OSCE Dir Gen Marc Perrin de Brichambaut, OPCW Dir. Gen. Rogelio Pfirter, British Amb to NATO Stewart Eldon, Spain's NATO Amb Pablo Benavides Orgaz, Italian Amb to NATO Stefano Stefanini, Russian Amb to the EU Vladimir Chizhov, Algeria’s U.N. Amb. Youcef Yousfi, Hunary's UN Ambassador Gabor Brodi, Pakistan’s U.N. 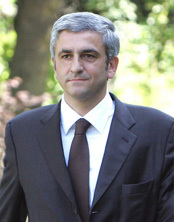 Ambassador Munir Akram, French Defense Ministry Dir. of Strategic Affairs Jean de Ponton d’Amécourt, U.K. Special Representative for Climate Change John Ashton, Thales Senior VP Dr. Edgar Buckley, Alenia Aeronautica CEO Ing. Giovanni Bertolone, Lockheed Martin Senior VP Robert Trice, Northrop Grumman IT Global President Kent Schneider, Microsoft Exec Dir Tim Bloechl, EADS Chief Operating Officer Mr. Marwan Lahoud, U.S. Assistant to the Sec of Def Dr. Arthur T. Hopkins, U.S. Director for International Cooperation Mr. Alfred Volkman, U.S. Dep Asst Sec Robert Lentz, and U.S. Assistant Secretary of Defense Hon. John Grimes. 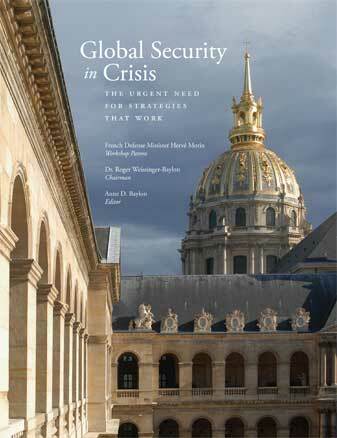 Global Security in Crisis, the proceedings of the 24th International Workshop on Global Security, Paris, 2007. 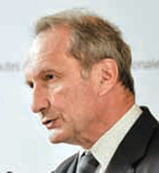 Franz Josef Jung, keynote speaker of the Berlin Workshop. The 23rd International Workshop was presented in association with the ILA Berlin Air Show in May 2006. Speakers included Minister Franz Josef Jung, Georgian Prime Minister Zurab Nogaideli, Hellenic Defense Minister Evangelos Meimarakis, Slovenian Defense Minister Karl Erjavec, Albanian Defense Minister Fatmir Mediu, Ukrainian Foreign Minister Borys Tarasyuk, Supreme Allied Commander Europe General James Jones, SHAPE Chief of Staff Gen. Rainer Schuwirth, Allied Joint Force Commander Gen. Gerhard Back, former SACEUR General George Joulwan; former NATO Mil. Comm. 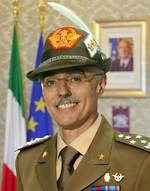 Chairman Gen. Harald Kujat, Italian Chief of Defense Staff Admiral Giampaolo Di Paola; EU Military Staff’s Director-General Lt. Gen. Jean-Paul Perruche, Pakistan’s U.N. 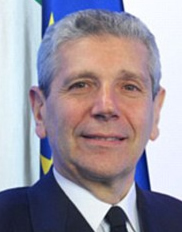 Ambassador Munir Akram, U.S. Amb. to NATO Victoria Nuland, China’s IISS Vice Chair Maj. Gen. Zhan Maohai, U.N. Under-Secretary-General Nobuaki Tanaka, Russia’s Colonel-General Anatoly Ignatievich Mazurkevich, U.S. Director of International Cooperation Al Volkman, and U.S. Prin. Dep. Assistant Secretary of Defense Linton Wells II. Workshop venues included the Pergamon Museum and the Reichstag. 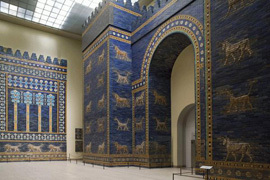 The Pergamon houses important collections of Greek, Roman, Babylonian, and Islamic art, including the Ischtar Gate from ancient Babylon (above). 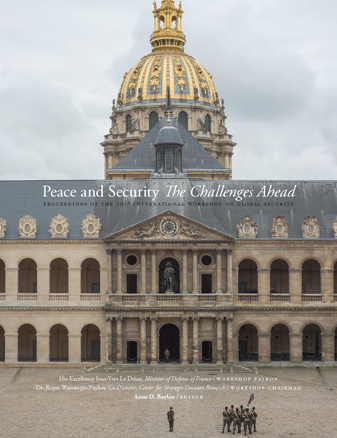 This booklet contains the proceedings of the Chantilly Follow-up Colloquium which was held on 9 January 2006 in Paris, France at the Defense Ministry. It was presented by the Center for Strategic Decision Research and the Délégation aux Affaires Stratégiques, Ministère de Défense, with the aim of further developing the discussion topics of the 22nd International Workshop in Chantilly in June 2005 and preparing for the upcoming 23rd International Workshop in Berlin in May 2006. Principal speakers: UK Defense Minister John Reid, Canadian Defense Minister Bill Graham, NATO Military Committee Chairman General Harald Kujat, designated NATO Military Committee Chairman General Raymond Henault, French Director of Strategic Affairs Marc Perrin de Brichambaut, Deputy Supreme Allied Commander Transformation Sir Mark Stanhope, SHAPE Chief of Staff General Rainer Schuwirth, NATO Commander General Gerhard Back, former Supreme Allied Commander Europe General George Joulwan, former NATO Military Committee Chairman General Klaus Naumann, EADS Executive Vice President Jean-Louis Gergorin, Chair of House of Commons Select Committee on Defense The Rt Hon Bruce George. argues that the complexity of issues and threats means that "military response can only be one part of the solution." NATO Military Committee Chairman General Harald Kujat, Supreme Allied Commander Europe General James Jones, U.S. 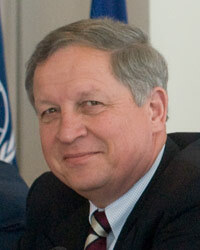 Ambassador to NATO William Burns, U.S. 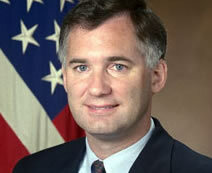 Under Secretary of Defense Michael Wynne, Asst. Secretary of Defense Linton Wells, Italian Chief of Defense Admiral Giampaolo Di Paola, Romanian Defense Minister Ioan Mircea Pascu, Turkish Defense Minister Vecdi Gonul, Bulgarian Defense Minister Nikolai Svinarov, Georgian Defense Minister Gela Bezhuashvili, and Lithuanian Defense Minister Linas Linkevicius were among the principal speakers. Download 2004 Workshop Proceedings (PDF, 1.14 MB. Shortcut to Overview by Workshop Chairman Roger Weissinger-Baylon and Keynote by German Defense Minister Peter Struck. The Center for Strategic Decision Research is a small research institute located near Stanford University in Menlo Park, California. For more than 30years, CSDR has presented an annual forum--presently called The International Workshop on Global Security--in major European cities. These workshops bring together political, military, industry, and academic leaders from North American, European, Asian, and African countries to discuss global security challenges on an informal and not-for-attribution basis. Participants have included the heads of state or government of Austria, Czech Republic, Hungary, Poland, Slovakia, Latvia, Lithuania, Estonia, Luxembourg, Romania, and Bulgaria, as well as foreign ministers, defense ministers, ambassadors, military leaders, business leaders, academics, and representatives from the European Union, NATO, the OSCE, and the United Nations. CSDR has recently sponsored annual conferences at Stanford University on the Horn of Africa and has long-term interests in finding ways to better transatlantic and global relations. CSDR also held workshops in Paris, France in partnership with the French Defense Ministry on the evolving roles of NATO, the EU, and ESDP. CSDR is currently interested in the development and communication of Alliance strategy for the coming decade in order to address the challenges of global terrorism--including not only growing asymmetric threats but also the genuine danger of nuclear hyperterrorist attacks that could threaten our civilization. Among the many requirements for such a strategy are improved transatlantic relations (which depends on reconciling the radically different world views found in Europe and North America), defense industrial cooperation among allies (as a basis for joint operational capability), and the need for a successful policy in the greater middle east (which cannot be achieved without progress toward peace between Israel and Palestine). International organizations, as well as treaties and other agreements, must be strengthened to slow the proliferation of WMDs. Above all, the struggle against terrorism cannot be won by military means alone: underlying causes must be understood and addressed. More recently, the global economic crisis has unexpectedly emerged as perhaps the greatest single threat to global well-being and security.